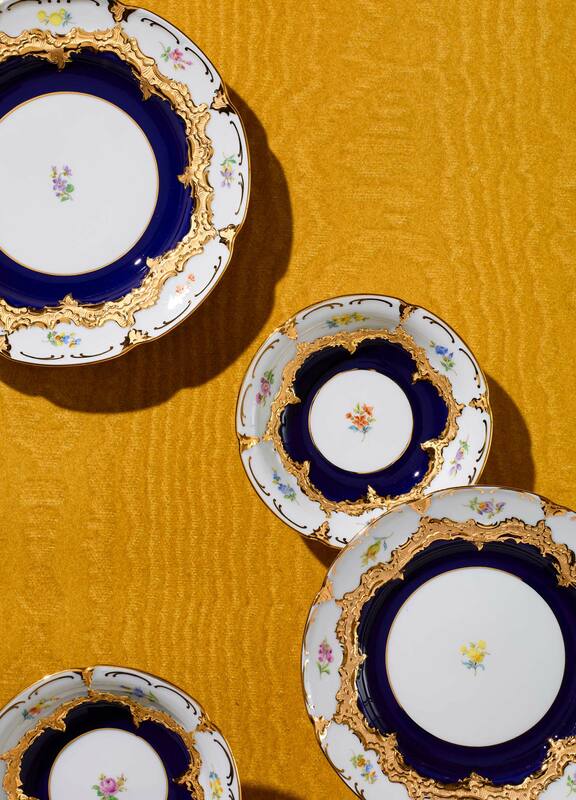 For more than 300 years, Meissen porcelain has stood for refined craftsmanship and unsurpassed design standards. The manufactory’s artistic renown, unrivalled anywhere in the world, is dazzlingly expressed every year with the “Limited Masterworks” collection. 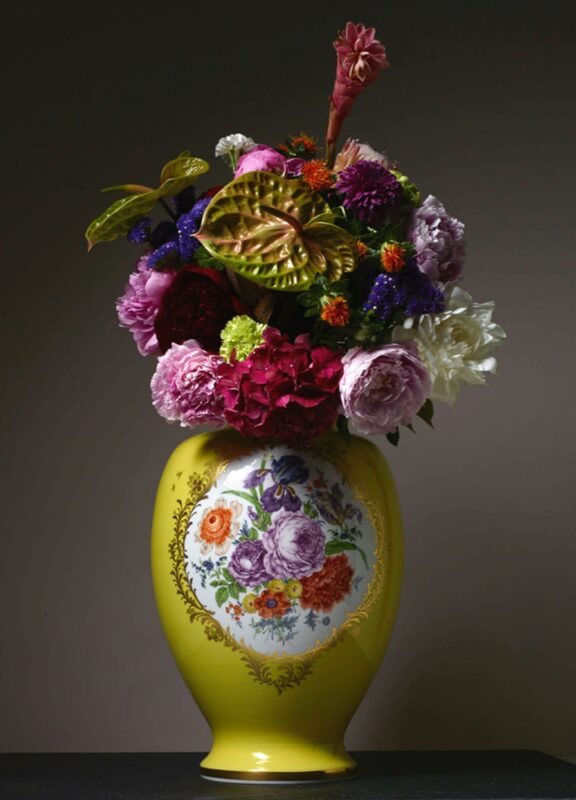 In these collections, icons from the annals of porcelain history and rarities from the Meissen archives are revived and remastered, bringing nearly forgotten techniques back to life. 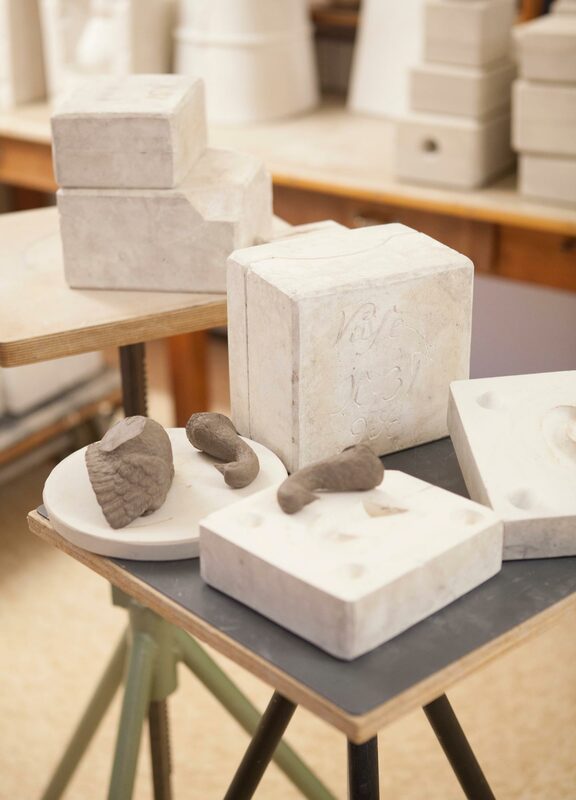 This year marks the anniversary of several important works and names from the manufactory’s history, which have been taken up in the “Limited Masterworks 2019” collection. 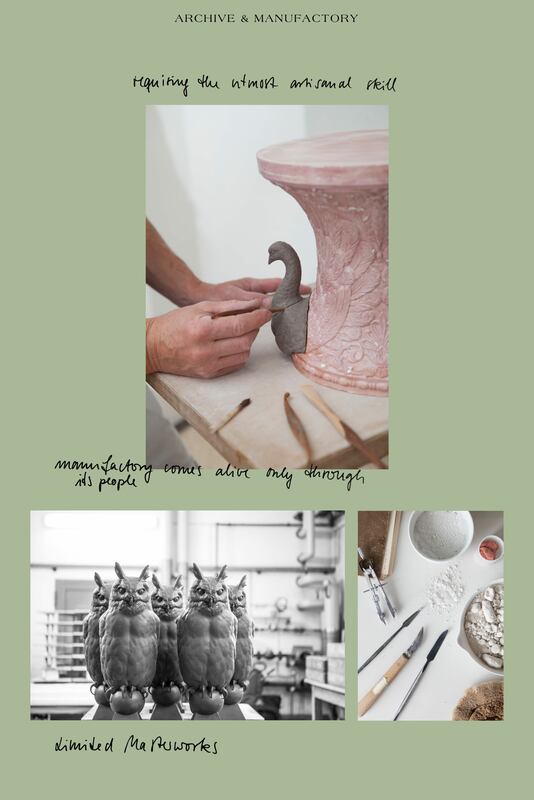 It is this untiring reexamination of the manufactory’s legendary traditions, the contemplation of traditional techniques and their relevance for our present day, and the exploration of the possibilities offered by modern design that propel the “Limited Masterworks” collection to new heights year after year. 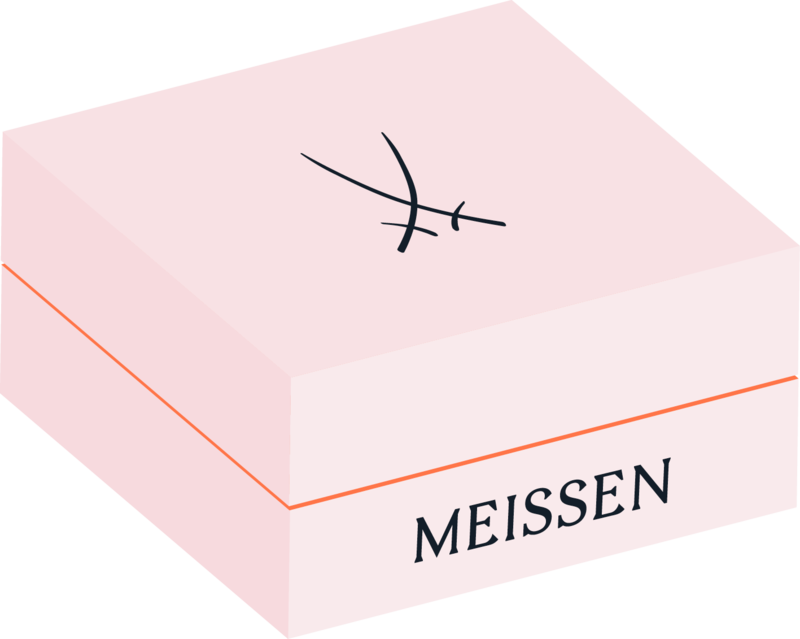 With its creative breadth and high artistic benchmarks, the collection is the crowning glory of the Meissen manufactory. 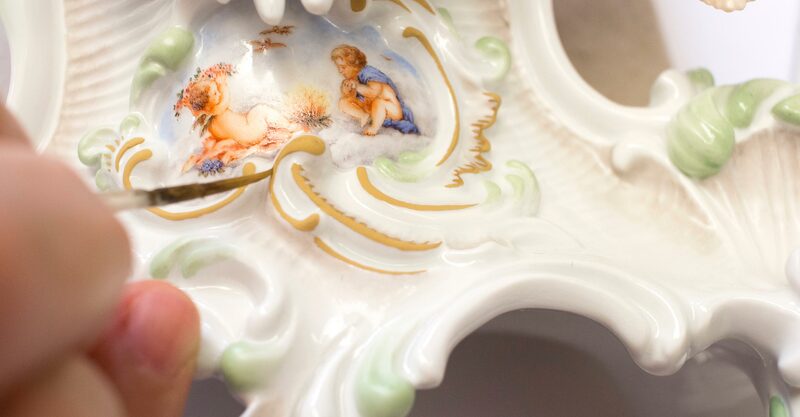 At the heart of the “Limited Masterworks” are the people who turn porcelain into works of art and, in their unique styles, have made MEISSEN famous around the world. 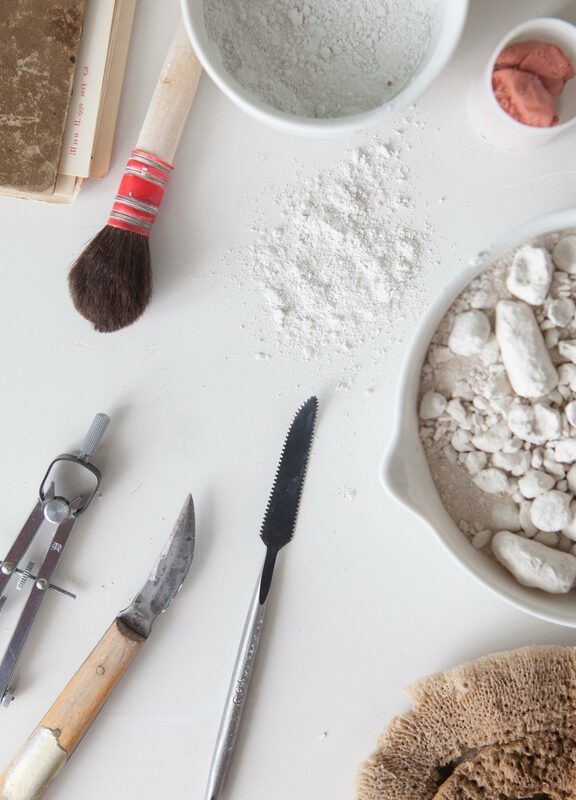 Every piece bears the unmistakeable touch of its creator, thus making each object a unique collectible. Created in 1739 by Johann Joachim Kaendler, the „Snowball Blossoms“ rank among Meissen’s most important decorative motifs, having been applied to countless vessels over the course of their 280-year history. 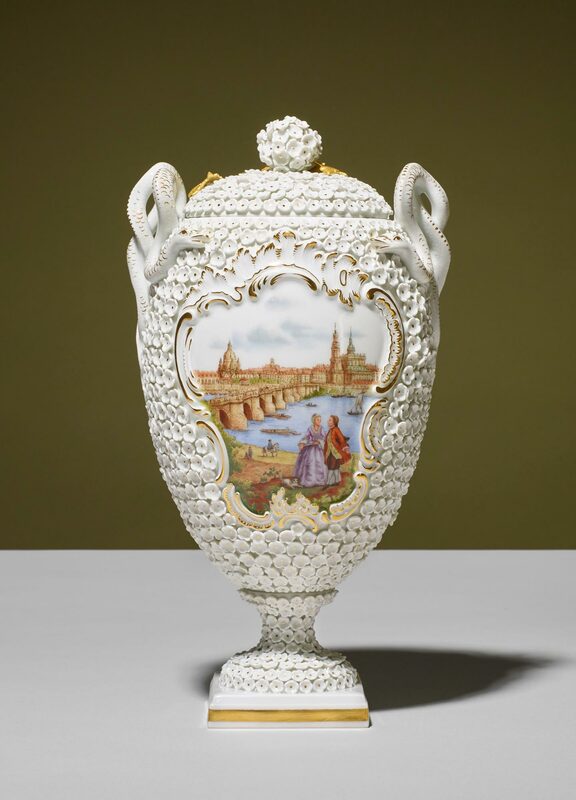 As part of the „Limited Masterworks 2019“, MEISSEN presents a reissue of the 1781 „Snake Handle Vase“ by Carl Schönheit decorated with those venerated blossoms. Rising from the petalled bed are the two snake handles in their original form, lending the vase its striking paradisiacal symbolism. Framed within the medallion is a classic motif based on an historic copperplate print from the manufactory archive. It offers the viewer the famed Caneletto view of a Baroque-era Dresden, the same period the „Snowball Blossoms“ were created. The combination of lavish sculptural decor and such sophisticated artwork testifies to the masterful craft upheld at MEISSEN.